Very few users take the time to fully explore the options of the accessibility menu. But there’s more in there than just affordances for disabled users. There are a ton of useful tweaks and hacks that any iPhone user might want to apply. We’ve collected some of the best iPhone accessibility hacks below. 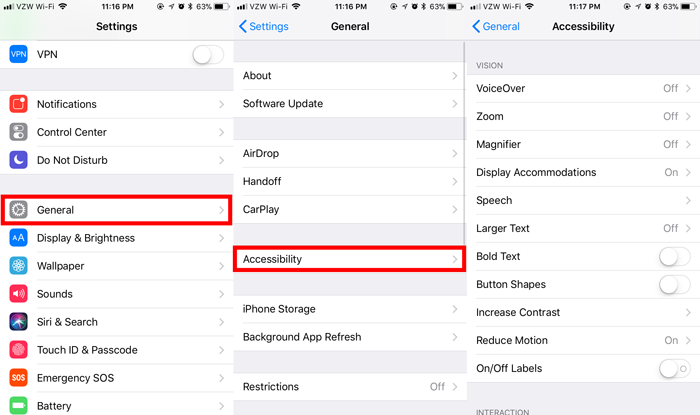 You can find these accessibility hacks in your iPhone’s Accessibility menu, which is located in the Settings app, under General. 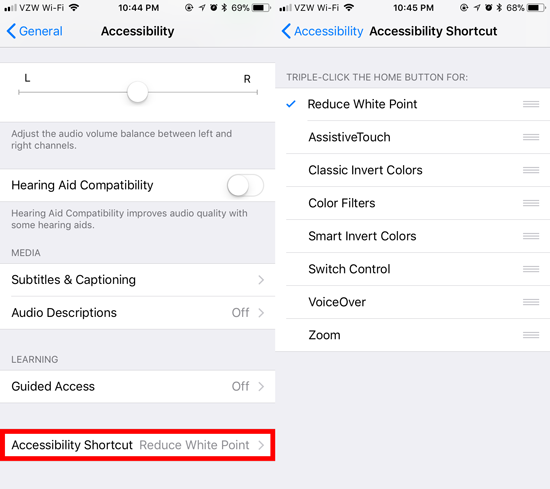 You’ll also notice that a number of these accessibility hacks can be set to your Accessibility Shortcut. This shortcut is triggered by triple-tapping the home button. You’ll find the Accessibility Shortcut settings at the very bottom of your Accessibility menu. There are eight options you can choose from. Tapping an option gives it a check mark, meaning it’s attached to the shortcut. Tap more than one, and you’ll get more than one setting. You can choose which setting to enable with a pop-up menu when triple-tapping the Home button. 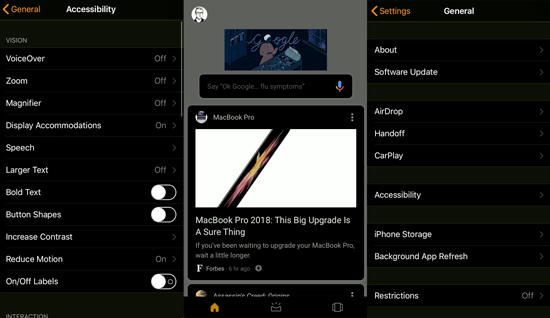 Use the drag handles on the right to organize the features in the pop-up menu. This one is great for reading on your phone at night. Reducing the display’s white point makes it darker. This controls the iPhone’s minimum brightness after a fashion. It will also make the screen less vibrant. This is a great one to attach your Accessibility Shortcut. Just remember to turn it off by triple-tapping again when the sun comes back up! You can adjust how much the display’s white point is reduced by accessing the Display Accommodations menu within the Accessibility menu. You can also toggle Reduce White Point in this menu if you feel your screen is always too bright. Unfortunately, this setting doesn’t seem to have a significant effect on battery life. iOS doesn’t have a built-in dark mode. For late-night users, this can mean your iPhone is often the brightest display at night. This is a bit of a bummer on the eyeballs. With Invert Colors and Smart Invert Colors, you can flip the whites to black and the blacks to white. This makes the device’s screen easier to read in dark rooms, and can even help in very bright conditions. Invert Colors is the “dumb” version of this setting, inverting the colors of absolutely everything on screen. This includes images, app icons and every interface element. It’s not super attractive, and not very appealing to those that don’t require it. Smart Invert Colors, on the other hand, is a little more selective with its inversions. It preserves the colors of things like images, icons and the interface elements of some dark-themed apps. Wherever you once saw white and blue, you’ll see black and orange instead. It’s kind of a cool look! Enable this under the Vision section of the Accessibility menu under Display Accommodations. 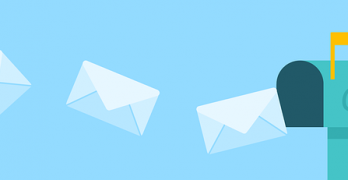 You can also attach it to your Accessibility Shortcut for quick activation. By default, lightly tapping your home button twice will engage Reachability. It slides the top half of your screen down to the bottom, making it easier to access menu buttons on the top of the display. This can be a major convenience for one-handed phone operation, especially on Plus models. But if you don’t know what’s happening and accidentally trigger the function, it can look like a bug. Or maybe that was just me. You can also access Reachability by tapping on—but not pressing!—the home button twice. Tap lightly, almost as if you’re activating Touch ID. If you disabled this function, you’ll need to turn it back on in the Interaction section of the Accessibility menu. Some users find the constant motion of the iOS operating system to be a little nauseating. Or they might just plain dislike all the zooming and sliding. That’s fine! Users seeking a reprieve can toggle on Reduce Motion under Display Accommodations. This is a “permanent” setting, so you can’t attach it to the Accessibility Shortcut. You might also be interested in Increase Contrast, which reduces the transparency of non-opaque elements in iOS. Bold Text can also make iOS dialog boxes and menus easier to read. If your Home button is broken, interacting with your (non-X) iPhone gets a lot more frustrating. Enabling AssistiveTouch can give you an on-screen Home button replacement. But the feature can do so much more than that. 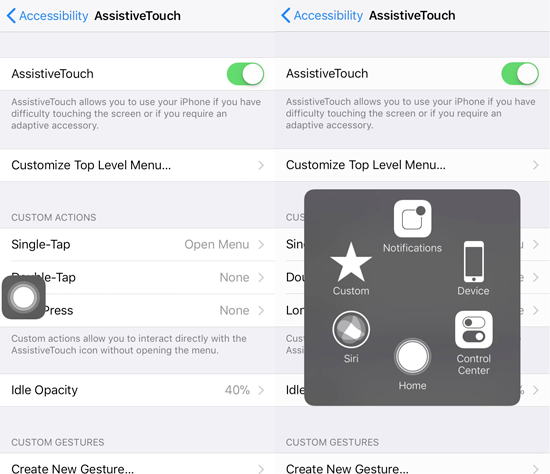 Even if your Home button is working fine, you can set the AssistiveTouch button to be a shortcut to a variety of iOS services, with a ton of settings to customize its functionality. 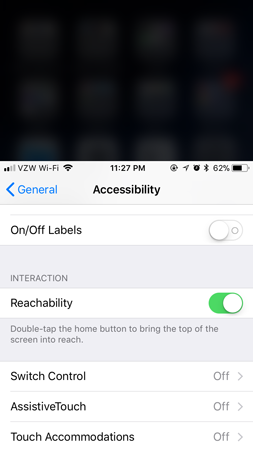 Once enabled, AssistiveTouch is always on-screen, but you can slide the persistent button around the screen to keep it out of your face. It also fades down to a lower opacity when idle: you can set it’s idle opacity all the way down to 15 percent. Tap the Siri menu to gain access to a couple of useful Siri options for alternative ways to communicate with Siri. This is especially useful for keeping Siri quiet in a public setting. Turn on Type to Siri to allow typing queries to Siri. 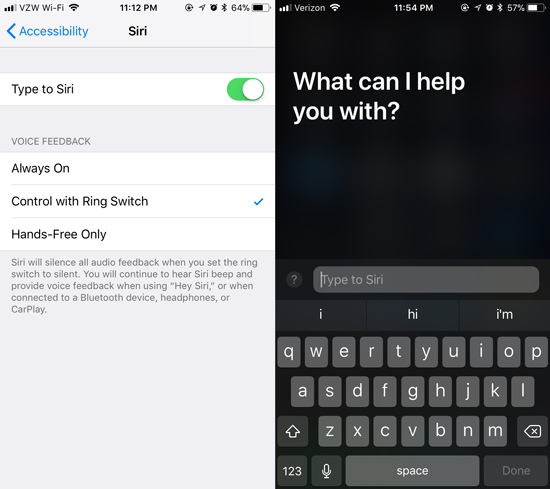 Set Voice Feedback to Control with Ring Switch to silence Siri when you set your iPhone to silent with the side switch. 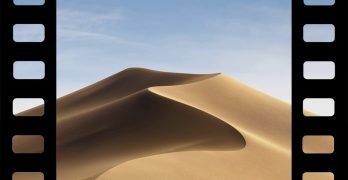 Speaking to Siri will override this silence, beeping in response to “Hey Siri” and providing normal voice feedback. Holding the Home button, however, will bring up a keyboard to type your input. This is sort of a fun one. Turn on Shake to Undo in the primary Accessibility menu, and you can undo typing (and other things?) by shaking your iPhone side to side. Just as you might do when frustrated anyway!